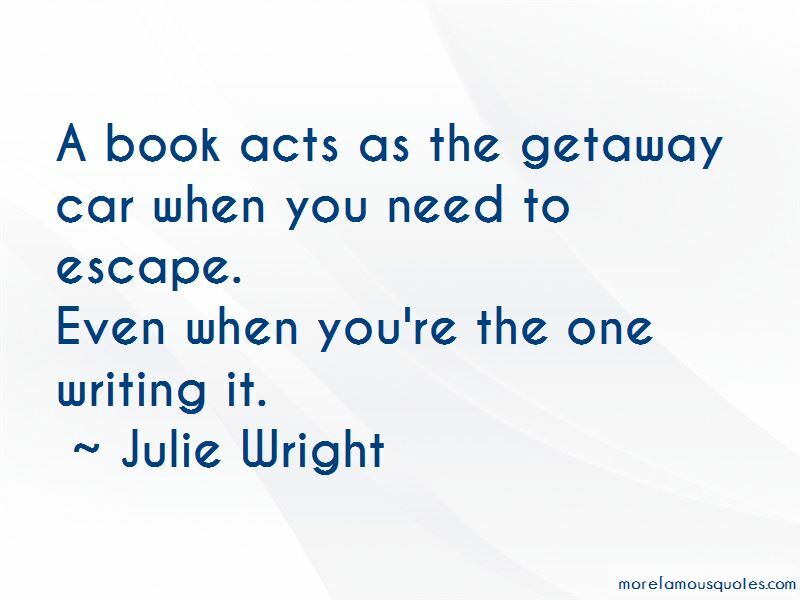 Enjoy the top 6 famous quotes, sayings and quotations by Julie Wright. 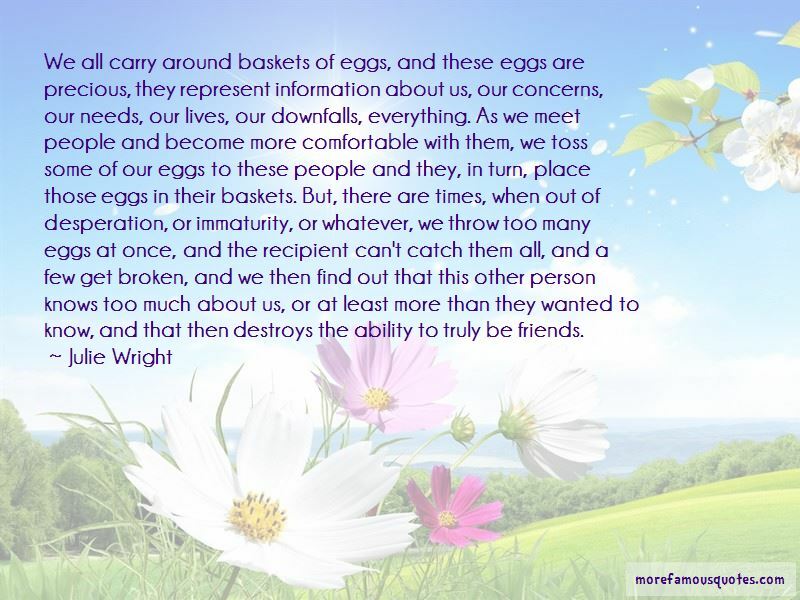 We all carry around baskets of eggs, and these eggs are precious, they represent information about us, our concerns, our needs, our lives, our downfalls, everything. As we meet people and become more comfortable with them, we toss some of our eggs to these people and they, in turn, place those eggs in their baskets. But, there are times, when out of desperation, or immaturity, or whatever, we throw too many eggs at once, and the recipient can't catch them all, and a few get broken, and we then find out that this other person knows too much about us, or at least more than they wanted to know, and that then destroys the ability to truly be friends. Love is like going snorkeling ... You go along looking at pretty fish and cool plants until a wave rolls you over a coral reef ... then the sharks come. “A book acts as the getaway car when you need to escape. 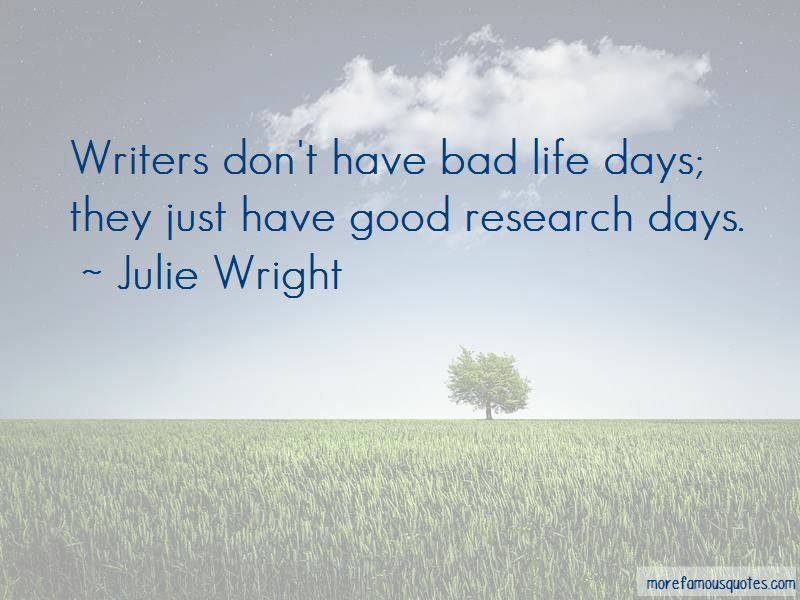 Writers don't have bad life days; they just have good research days. Just because a frog says he's a prince doesn't mean you should kiss him. For all you know he's one of the arrogant, worthless princes who might better serve society as a pair of buttered legs on someone's plate. 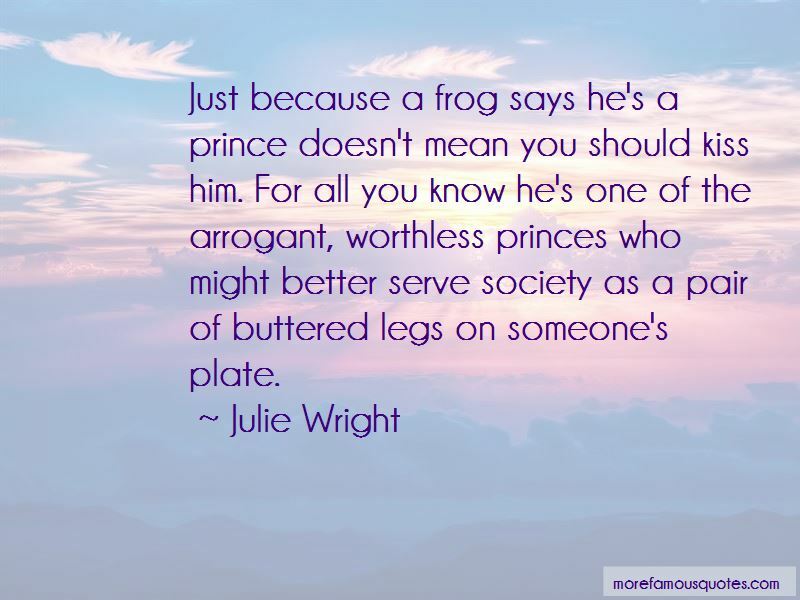 Want to see more pictures of Julie Wright quotes? Click on image of Julie Wright quotes to view full size.